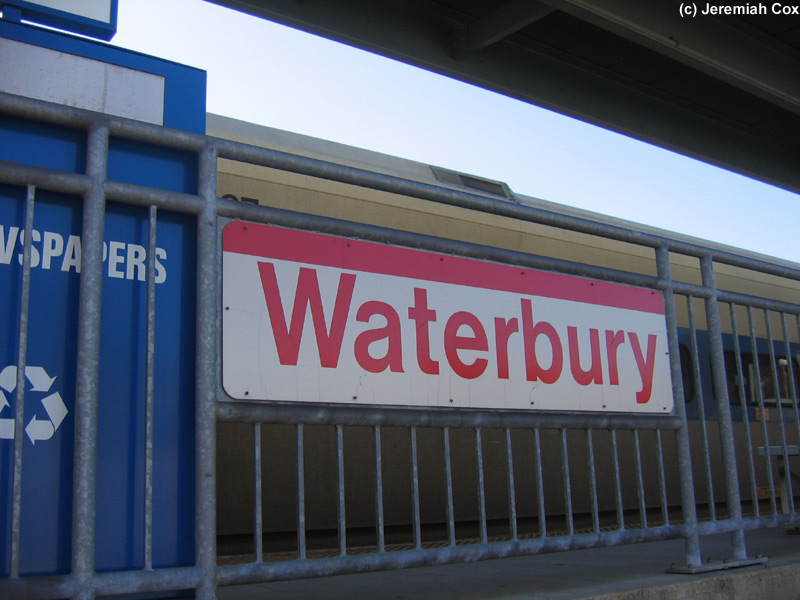 Waterbury is the terminal of Metro-North's Waterbury Branch which isn't electrified. 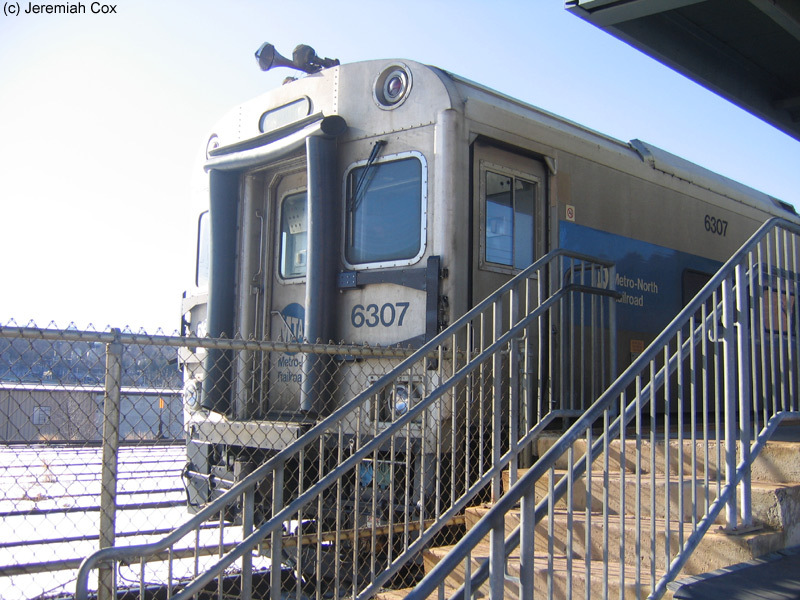 The station is the farthest away from Grand Central at 87.5 miles. 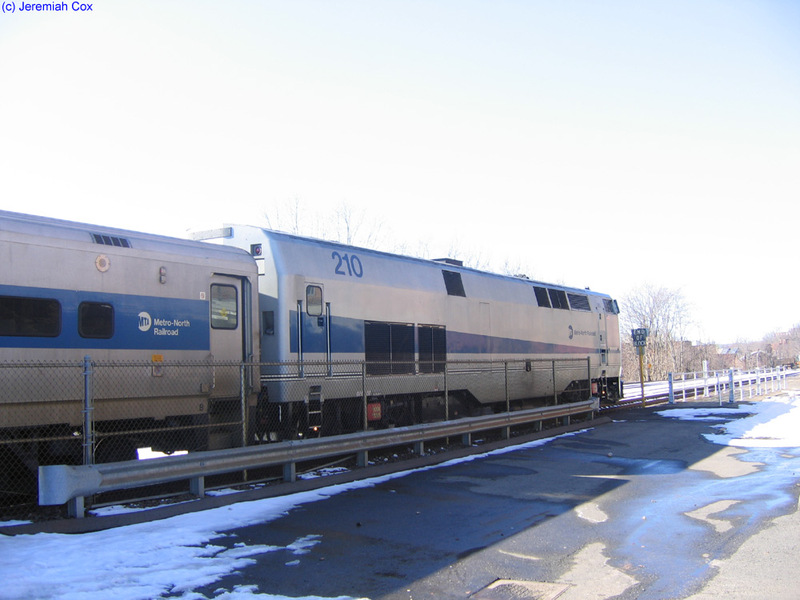 The Waterbury branch is served by a shuttle from Bridgeport of two Shoreliner Cars and a Genesis P32AC-DM or F-10 Locomotive. 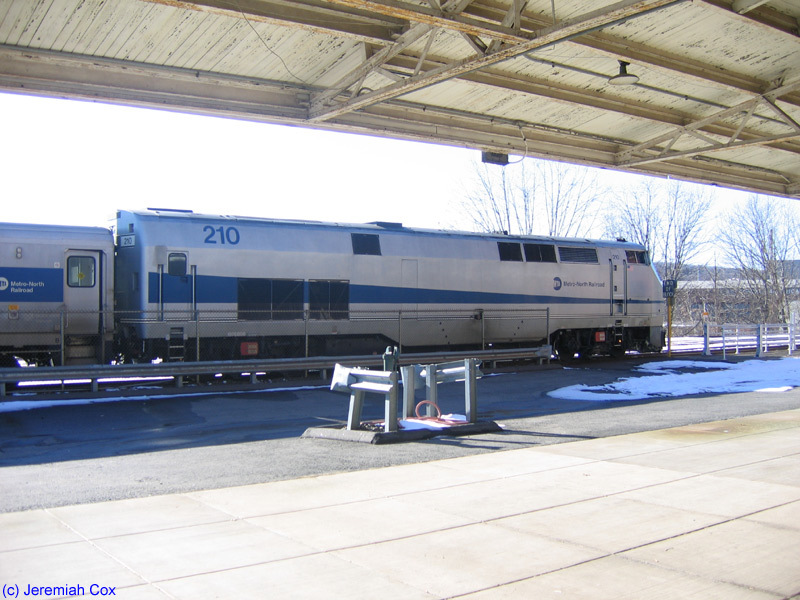 The station is located next to a large building with a clock tower that's the Republican and American Newspaper Offices in downtown Waterbury, which has definitely scene, better days. 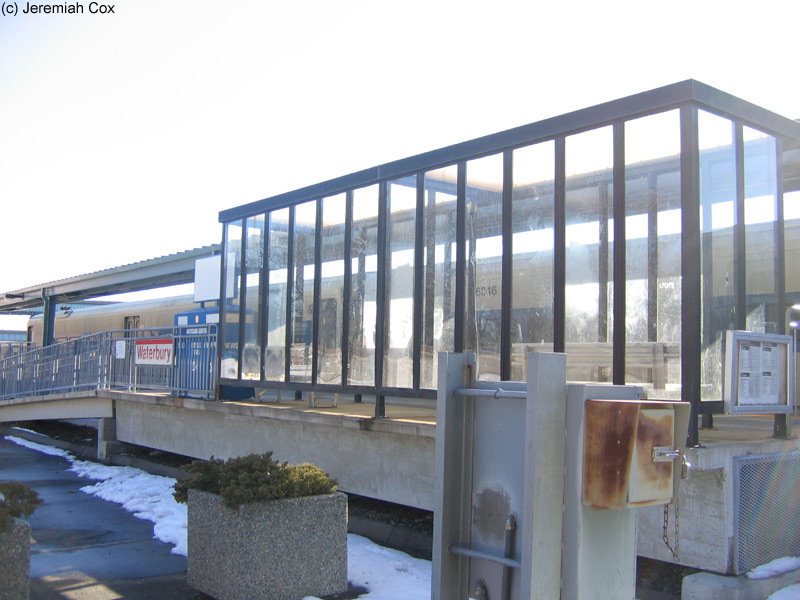 The station itself is primitive with a short two car long high-level platforms and a bus shelter with a bench in. 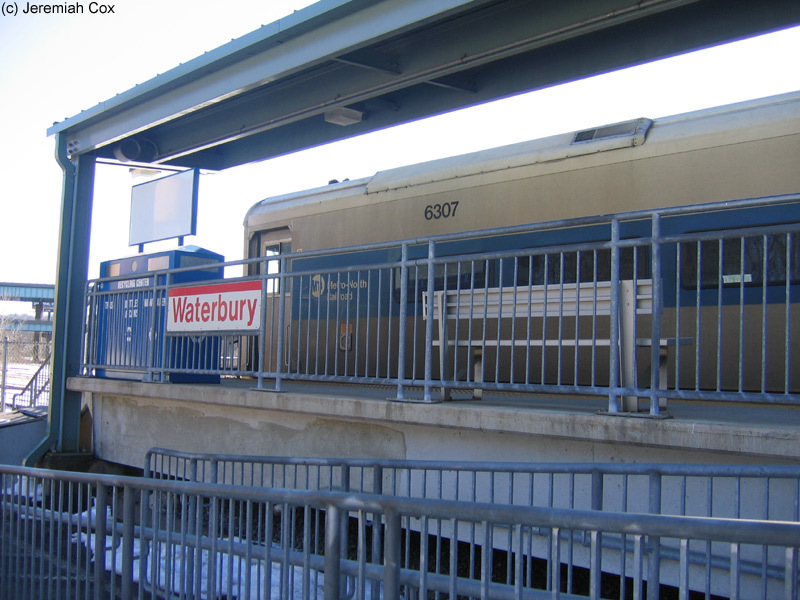 The station is Wheelchair accessible with a ramp up to the platform, the station is less primitive though then the rest on the Waterbury Branch which have low-level platforms. 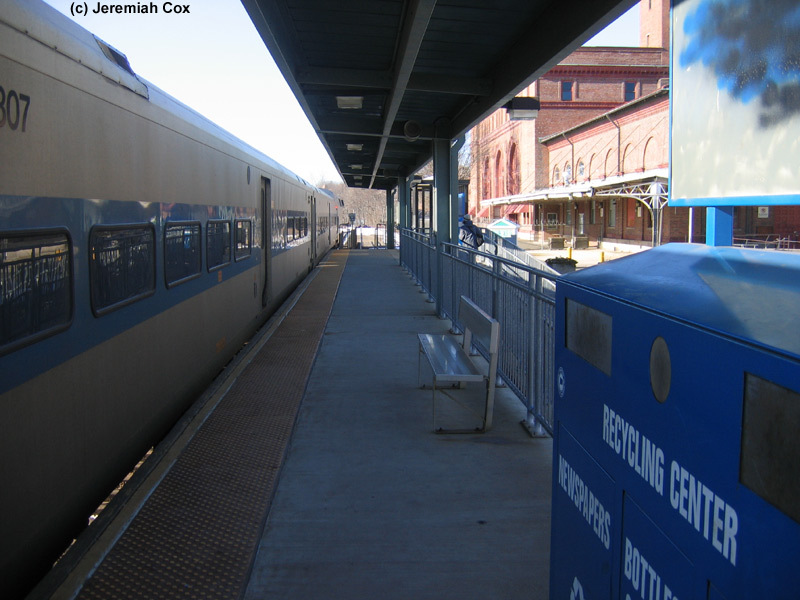 The station like the rest on the Waterbury Branch has no TVMs or ticket offices so cash fares can be paid on board without the surcharge.